Carine Maillard, Director of the GPHG, outlines the highlights of the 2017 edition to our editor-in-chief. Watch brands have just over a month to finalise their entries for this year’s Geneva Watchmaking Grand Prix. WorldTempus spoke to the competition’s director Carine Maillard to get an overview of what’s new for the GPHG 2017. What are the changes in the jury this year ? We have changed around one quarter of the members of the jury, as we do every year, in order to guarantee a level of independence and bring in some new blood. We look for the right balance in terms of expertise, backgrounds, nationalities and perspectives. We are happy to benefit from the experience of the following people, who have agreed to join the jury this year: renowned watchmaker Roger Smith, tennis player Gaël Monfils, designer Emmanuel Gueit, collector and vintage watch expert Eric Ku, watchmaker Masaki Kanazawa, Jack Forster, editor-in-chief of Hodinkee and Dody Giussani, Suzanne Wong and Nazanin Lankarani, all three specialist journalists. 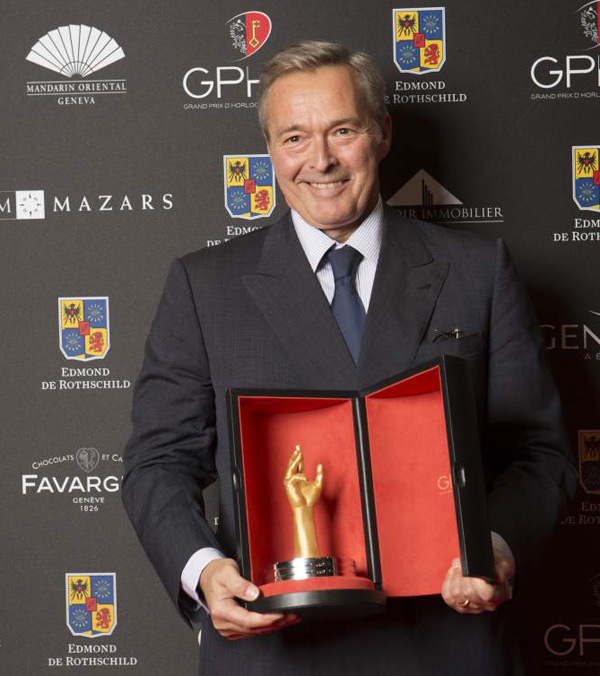 We are also honoured to have Karl-Friedrich Scheufele, President of Ferdinand Berthoud, on the jury as the winner of last year’s Aiguille d’Or. There are only minor changes in the categories this year. Does that mean that you are satisfied with the categories as they have been for the past few additions? Are they representative of the industry? Yes, we try to keep things consistent but at the same time adapt to the evolution of the market. This is why we enhanced the Tourbillon category this year by including watches with special escapements. We also did some fine tuning in the Men’s watch category, which now accepts classic watches without any complications but with a digital or retrograde display. Furthermore, the Innovation Prize returns this year to reward a watch that offers an innovative way of measuring time or opens new paths in the development of the art of watchmaking. It is an optional prize that is awarded at the discretion of the jury. There is a small, but symbolically important, change in the Petite Aiguille category with the explicit acceptance of smart watches. Are you worried about a deluge of entry-level candidates or do you think that smart watch entries will come mainly from the luxury brands that traditionally take part in the Grand Prix? Smart watches are accepted and welcome in the Sports and Petite Aiguille categories. We are not worried about a “deluge” of candidates, since the very mission of the GPHG is to embrace the vitality and creativity on the market, irrespective of the price range and the nature of innovation. In this case the jury would have a wide choice of watches at the preselection stage, which is no bad thing. What are the stopovers for the travelling exhibition where people around the world will be able to see the preselected watches and the winners of this year’s GPHG? We have not yet finalised all the stopovers. Like every year, we will announce the complete programme in July. But I can already confirm that our Geneva exhibition presenting the preselected watches will be held at the Art and History Museum from 31st October to 12th November with some new elements to the programme. We will then present the 15 winners at the Dubai Watch Week from 16th to 20th November. As far as the first stages in the exhibition are concerned, we are looking at various options in Asia, South America and Europe.